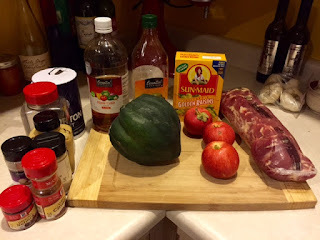 This recipe is actually from my What To Eat When You're Pregnant cookbook, but it is delicious even for non-preggos! Acorn squash is a great high-fiber food and there is also a lot of protein, potassium, calcium and vitamins in this dish. Plus, the fall flavors like apples, squash, and nutmeg can't be beat! I used some fresh apples off the tree. Enjoy! 1. Preheat oven to 425 degrees. Line a baking dish with foil. Happy fall! This is my absolute favorite season. 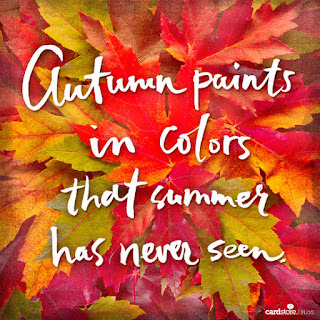 I'm ready to trade in my flip flops and sundresses for boots and sweaters, and I am so excited about Pumpkin Spice, fresh apples, and candy corn! I scored some yummy-licious pumpkin cookies from a coffee shop when we were traveling in Moab and I can't wait to try this Apple Cinnamon Muffin recipe from my favorite blogger. The hubby and I took a road trip to northern Utah last weekend for a little Babymoon (last trip before the baby!) and his final Xterra triathlon of the year. We traveled through Durango, Ouray, Grand Junction, Ogden and Salt Lake City, followed by a night in Moab on our way back to New Mexico. The fall colors in western Colorado were gorgeous! We did some light hiking along the way and it was the perfect time of year to be outside. ba·by·moon ˈbābēˌmo͞on/ nouninformal a relaxing or romantic vacation taken by parents-to-be before their baby is born. With Labor Day behind us and football season in full swing, summer is coming to a close. I can feel a difference in the air, especially in the mornings, and we are already seeing some leaves changing around our neighborhood. Between traveling, hosting guests, and preparing for the baby's arrival, this summer just flew by! I didn't have a chance to get outdoors as much as I had planned, but I hope to get up into the mountains more in the next few weeks as we welcome the fall colors. 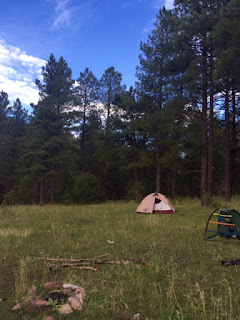 Before Labor Day weekend I went on my only camping trip of the summer with a group of friends to a quiet, wooded spot outside of Truchas. It was wonderful to get away from the city for a night, relax around the fire, and gaze at the stars on a clear night. Besides being outdoors, the best part of camping is getting away from the constant to-do lists and housework!